It's a cotton candy... It's a chewing gum... It's both! This cotton candy bubble gum is just what it says it is: a cotton candy as a bubble gum! Take a piece of the cotton treat, put in your mouth and chew, and it will turn into a delicious gum for you to enjoy as long as you want! 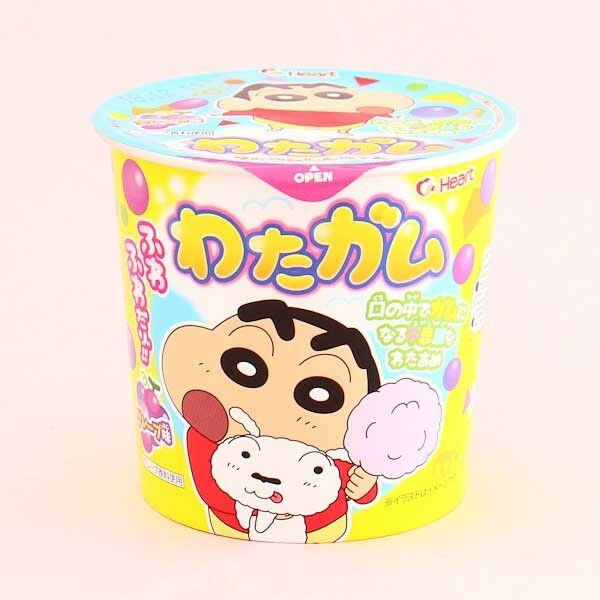 The adorable package has a picture of Shin Chan so this treat is a great gift for all of his fans and cotton candy lovers! Challenge yourself and your friends to taste something new and exciting with this sweet cotton gum! Yum! 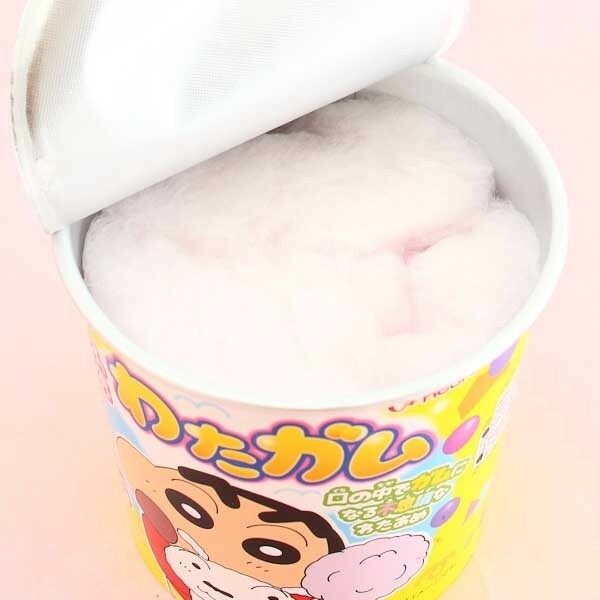 Cotton candy which turn into a chewing gum - so cool!